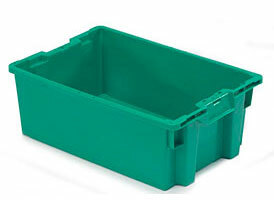 Denham Plastics is a full service provider of plastic material handling solutions. Our goal is to transition the agriculture industry into plastic container solutions that are sustainable, affordable, and reduce the risks of foreign objects and food borne illness. We distribute harvesting containers (bins, totes, and pallets), rent used containers for transitional seasons, repair (replacement parts and plastic weld), and recycle (unusable containers). We work with the customer to transition their business out of wood and fiber containers and bins and convert them to plastic solutions. In addition, current technology has allowed us to introduce metal flake (for metal detection devices) and anti bacterial resin reducing the possibility of foreign objects and other food safety risks. Denham Plastics LLC was established in December 2000 in Salinas, CA. We started out with a 700 sq ft building in an industrial park in the center of the packaged salad market. Jeff Denham with an expertise in the produce market partnered with Mike Hutchings an expert in the plastic container industry and formed Denham Plastics, LLC.